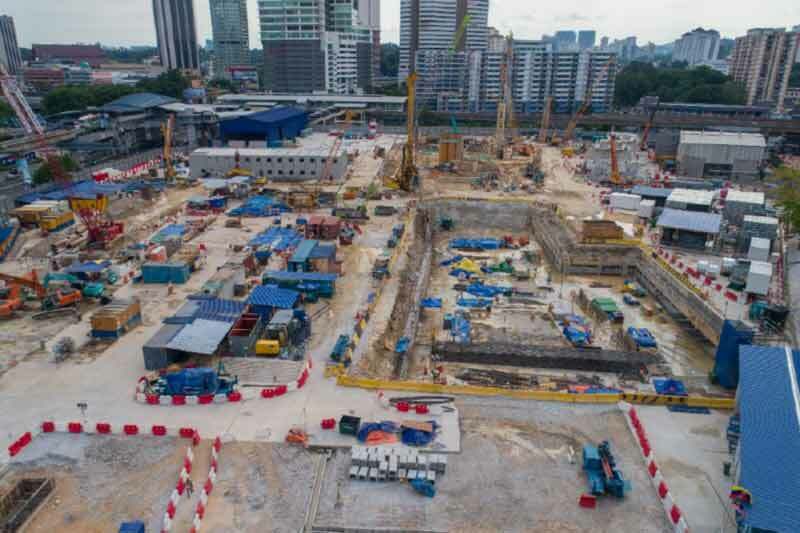 Malaysia’s Mass Rapid Transit Corporation (MRTC) is leveraging cloud-based collaboration on a Common Data Environment (CDE) for the Klang Valley Mass Rapid Transit (KVMRT) system’s under-construction 51-kilometer Sungai Buloh–Serdang–Putrajaya (SSP) line. MRTC is fully owned by the Minister of Finance Incorporated and was set up to be the developer and asset owner of the Mass Rapid Transit project, a planned 3-line mass rapid transit system in Greater Kuala Lumpur (part of Klang Valley region) in Malaysia. The other two lines are Sungai Buloh–Kajang (SBK; phase 1 and 2 opened in December 2016 and July 2017 respectively) and the Circle Line, expected to be ready by 2027. The cloud platform (Bentley Systems project and asset management software hosted on Microsoft Azure) enabled MRTC to increase precision of construction, reduce instances of design rework and to improve safety standards by enabling synchronisation and information exchange between external vendors. Numerous external vendors are involved in the complex project and huge volumes of decentralised information has to be handled. During the previous SBK line project, MRTC had to deal with too many site changes during construction, due to design discrepancies which arose from design changes or site constraints. In the SSP line, MRTC has to manage 30% more consultants, all of whom would have to have direct access to the common database in order to continuously update design information, eliminating outdated and misinterpreted information. In addition, because of a manpower and talent crunch, and the local Government’s ambitious plan to raise labour productivity levels aggressively by 2020, MRTC needed to adopt a platform to ensure quick, secure and efficient on-boarding of its engineers for the project; while ensuring an improved level of productivity. The use of the federated platform has enabled over 1,500 users on the CDE to collaborate on more than 45,000 documents, corresponding to 750GB of design files, to base decisions and actions in both design and construction. It helped improve efficiency of design coordination and achieve a significant reduction of design clashes by the Final Design stage. The repository also provided the basis for efficient ongoing asset management for the optimal lifecycle of this critical infrastructure. MRTC was also able to conduct a fortnightly Virtual Design Review process, allowing its diverse teams to review and coordinate their respective models, regardless of locations. This process standardised collaboration across all teams and helped identify and mitigate potential issues, before they impacted cost, schedule and safety. This is a large improvement from work on the first KVMRT line (SBK line) that relied on 2D drawings and a traditional Electronic Document Management System (EDMS) workflow. The approach is expected to increase productivity by an estimated 35%, while reducing design rework by providing accurate information the project team could trust. Poh Seng Tiok, Director of planning and design with MRTC said, "MRTC decided to adopt a BIM (Building Information Modelling) maturity level 2 strategy for the KVMRT SSP Line, as well as the use of a Common Data Environment (CDE) for a collaborative workflow to cut the reliance of manual processes. It is the first metro project in Asia to adopt BIM level 2, an advanced way of working that leverages digital collaboration and has become a standard for many leading governments for public-sector projects. With this implementation, all parties involved can use their own 3D BIM models, but design information is shared through a common data environment, which enables any organization to combine data with their own to create a federated BIM model."